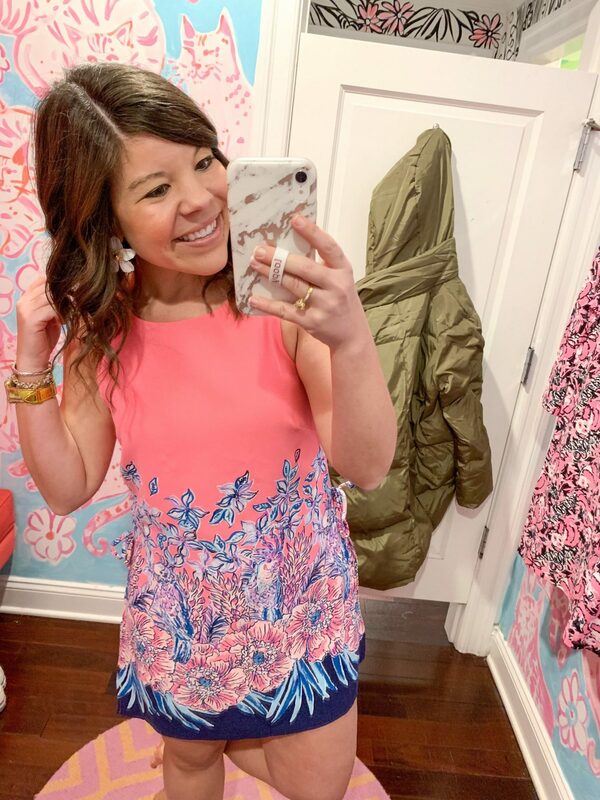 Celebrating Valentine’s Day with the sweetest try on haul from Lilly Pulitzer! 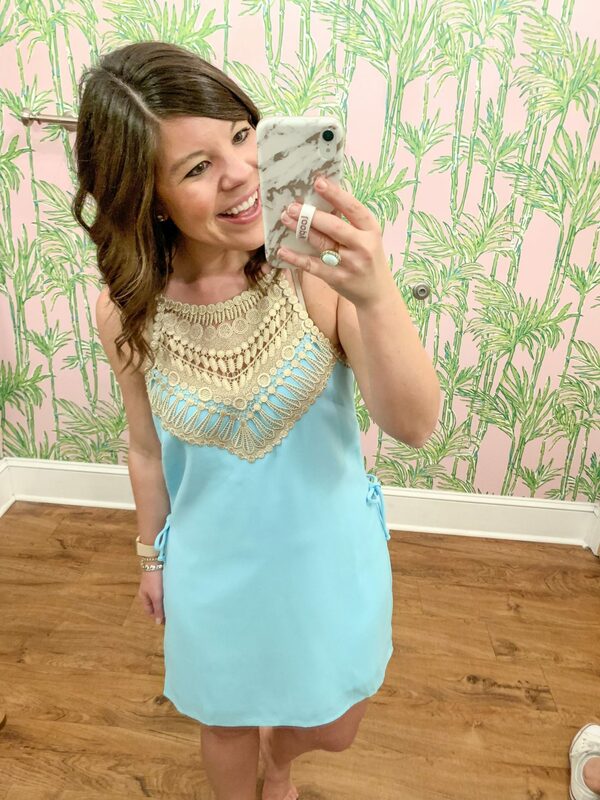 Adalee Shift Dress– Oh heavens y’all, I am head over heels in LOVE with this dress!! A classic shift shape, sweet ruffles, AND pearls??? This is me in a dress!!! 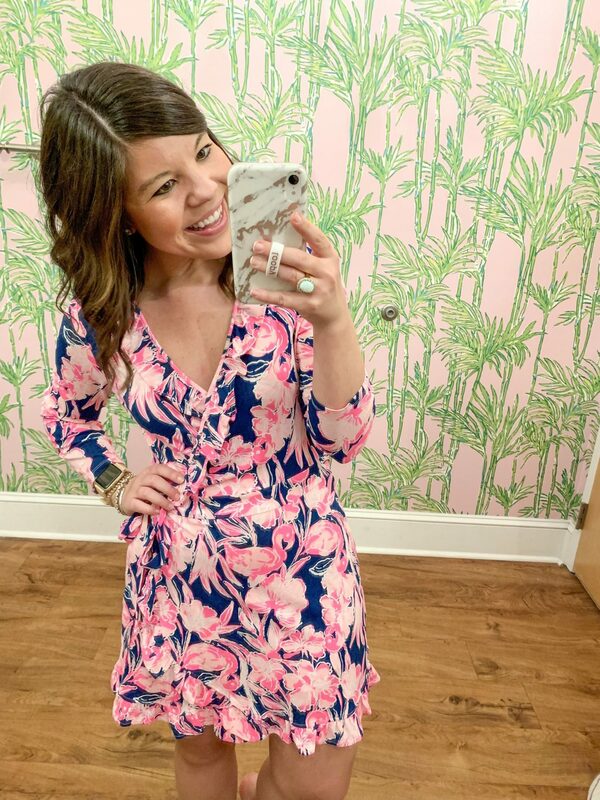 Donna Romper– I am obsessed with Donna rompers- they are just too good! 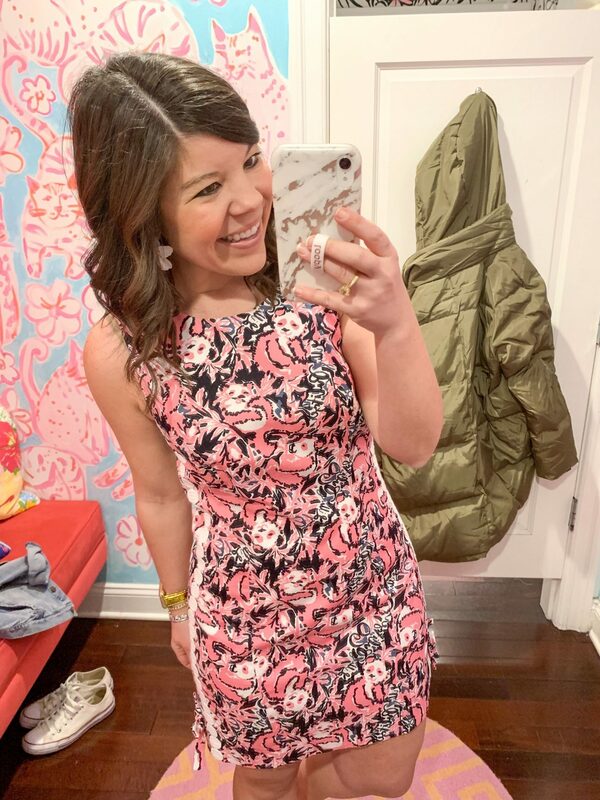 Once again, you’ve got a sassy little dress from the front, but a great romper when you sashay to the side 😉 I used to wear a size 6 but am now a 4- so if you’re between sizes than size down! 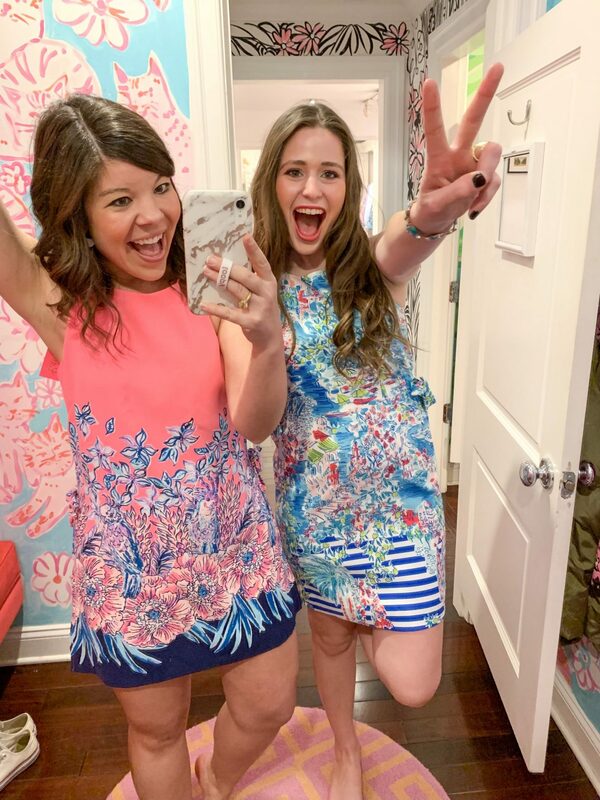 Mila Shift Dress– Classic Lilly style- and an even more classic print! I had to giggle that the print is called “Hanging with my Boo”- I mean that’s a perfect print for V-day am I right?! 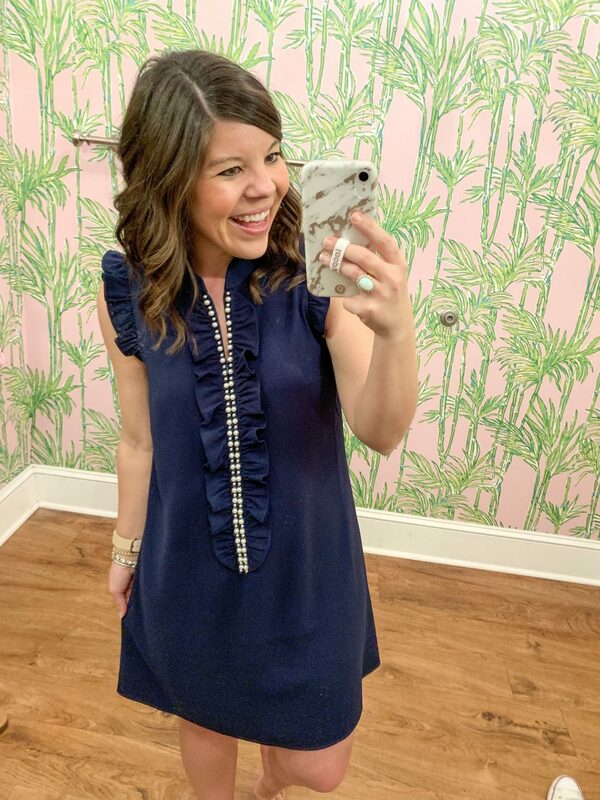 Pearl Romper– I was obsessed with the Pearl Shift last year, and wouldn’t you know that Lilly would take my favorite and turn it into the cutest romper ever?? The details on this piece are GORGEOUS (I mean that gold neckline is everything!)! 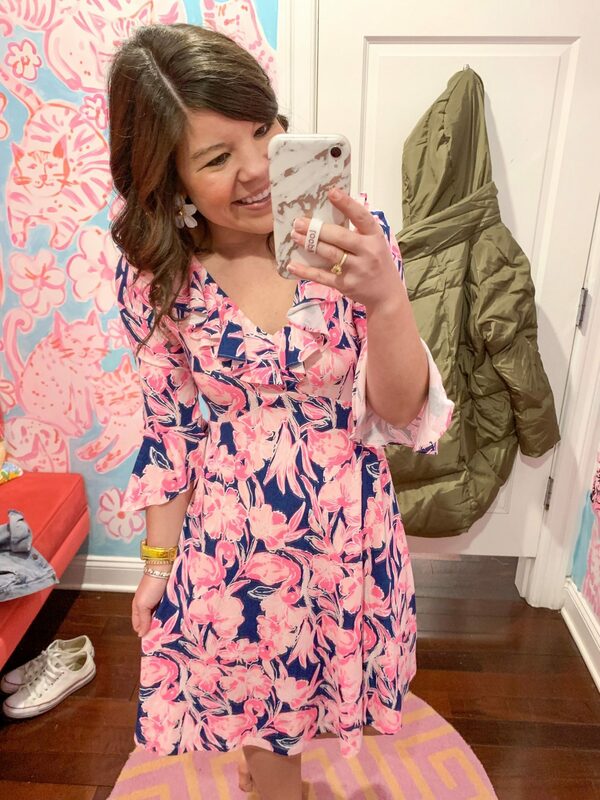 Stirling Dress– This is such a sweet, sweet dress. 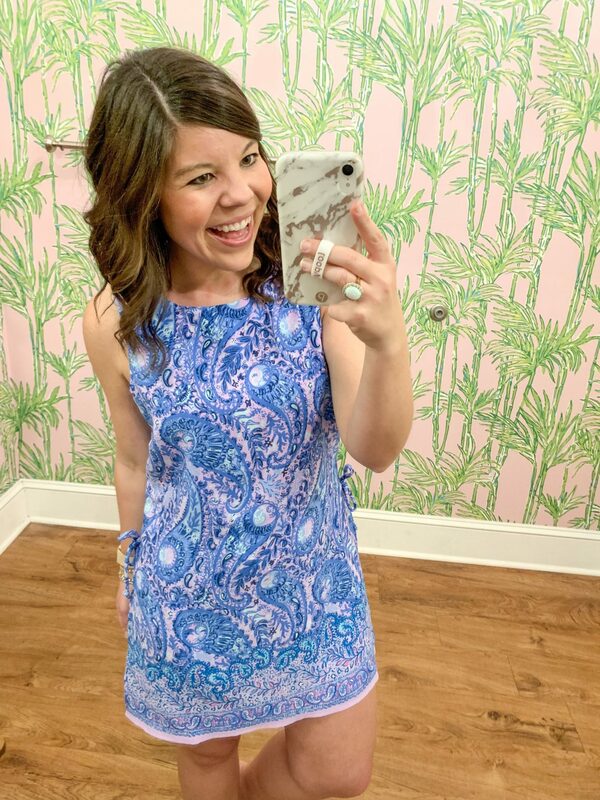 It’s a longer length so if you are taller, or prefer longer coverage, this would be the perfect piece for you! It comes in two pretty prints and I love that it’s also workplace appropriate! Bay Dress– more than just your average tee shirt dress, if you peep this from behind theres a sassy little cutout! Ow-ow! I love the comfortable fabric & my favorite panda print but also appreciate that it can transition from work to play! If you’re between sizes- size down! 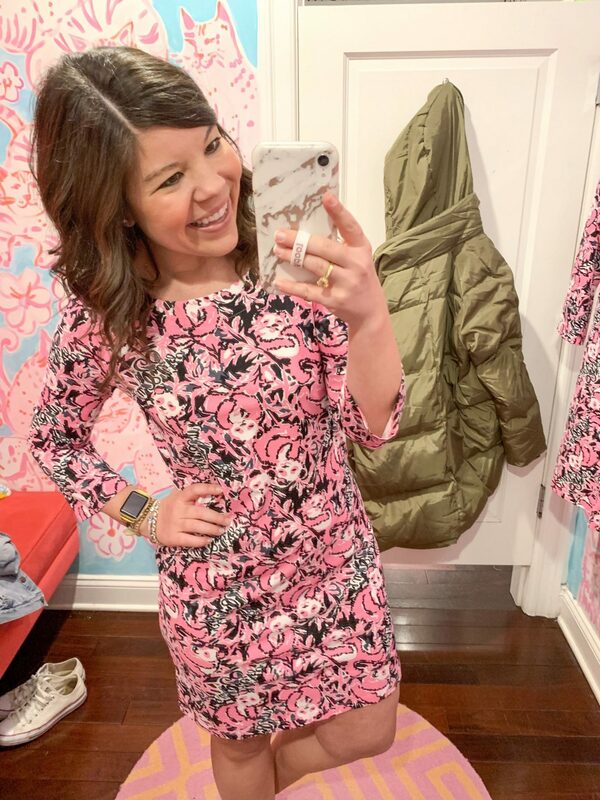 PS- One of these dresses is what I’m actually wearing for Valentine’s Day… Can you guess which one?! 🙂 Stayed tuned to my IG stories tonight- I might even share my celebrations with y’all!